Robot welding has several benefits including improved weld consistency, decreased cycle times, enhanced efficiency, and reduced health hazards for workers. From limiting exposure to hazardous fumes to decreasing the risk of arc burn, arc welding robots help save workers from doing a once dangerous job. ICR provides a wealth of options for customers interested in welding robotic cells. Our services include design, development, and implementation within your facility. We have access to a wide selection of used and refurbished robots to populate chosen cells. 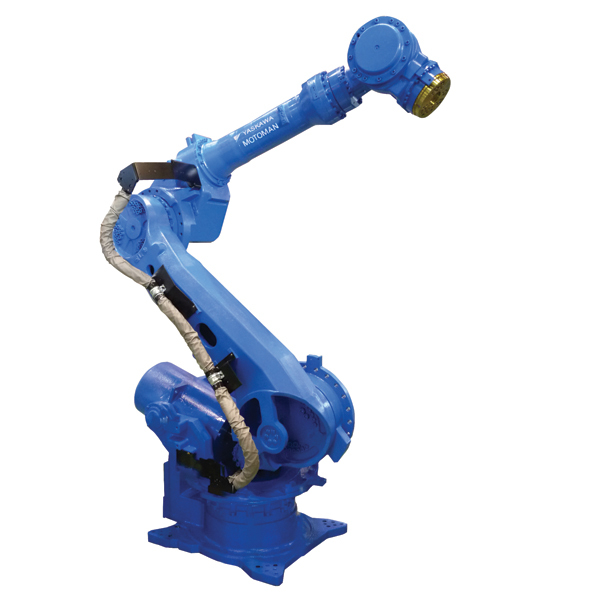 Our partnership with Yaskawa and Nachi allow us to offer new robots to oufit your robotic welding cells as well.